The most splendid view of Tower 2 in the midst of all of the exciting developments in the Channelside District! A 45 degree panoramic breath-taking view from the 25th floor balcony of the south east exposure of the Tower, overlooking the surrounding waters of Hillsborough Bay, Davis Island, Harbor Island, the Port of Tampa, the Towerâs pool resort, Sparkman Warf and beautiful Downtown Tampa. 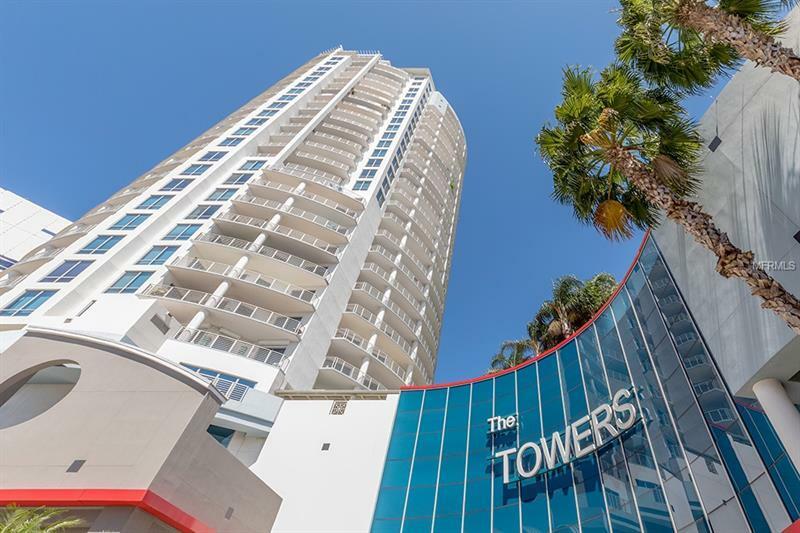 This 3-bedroom, 3-bathroom condo is located on the 25th floor (highest floor below the buildingâs penthouses) and offers splendid water views from every room. Freshly painted, this home boasts hard wood floors in the living areas, granite counter tops in the kitchen and bathrooms, crown molding and baseboard throughout. A storage room is also allocated to this unit and the 2 parking spots are conveniently located right at the 2nd floor elevator entry offering minimum driving and walking. Walk to Sparkman Warf just across the road, Publix Super Market (expected to open in June), all the bars, restaurants and dog parks of Channelside. New transportation roads for easier access to downtown and other main transportation networks planned for 2020 and 2021. Pet Restrictions: Dogs, cats, birds allowed – no exotic breeds, no aggressive breeds. Please verify with this information is correct in the condo association documents.